Discussion in 'ThunderCats (1985)' started by BloodofKings, Nov 19, 2017. Sad news. 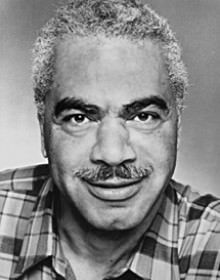 Earle Hyman, the voice of Panthro in the 1985 Thundercats series and the paternal figure of Bill Cosby's character on The Cosby Show, Russell Huxtable, has died. This news is just breaking and hasn't yet hit the major outlets and details aren't currently available. Prayers for his family. On a personal note, Mr. Hyman and I actually share the same birthday, October 11th. Thank you for the great childhood memories you gave a generation of viewers both through Thundercats & The Cosby Show. Your talents & the brilliance you shared with the world won't be forgotten. Godspeed! ThunDerianRoyalGuard and Sebastiaan like this. Ouch. Another one gone, right in the childhood. He was a great actor. Real heartbreaking. I'll always remember Panthro saying "If we're gonna do it - let's do it!" And Earle certainly did it properly!!!! ThunDerianRoyalGuard and BloodofKings like this. Damn! Never met him but he has done not only him but he did King Awgwa from The Life and Adventures of Santa Claus. Panthro was even my dad's favorite character. Rest in Peace. I know some people liked the "Jett from Cowboy Bebop" 2011 version but I grew up with the 1985 classic and no one will ever give that character the gravitas EH did. My favorite Thundercat. Captain Shiner and ThunDerianRoyalGuard like this.